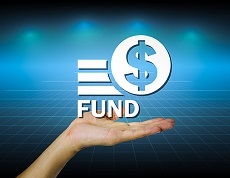 You will find detailed descriptions of the fees a fund charges in the fund’s prospectus. Mutual funds must provide a copy of the fund’s prospectus to shareholders after they purchase shares, but investors can—and should—request and read the fund’s prospectus before making an investment decision. Management fees. These fees pay the fund's portfolio manager. 12b-1 fees. These fees, capped at 1 percent of your assets in the fund annually, are taken out of the fund's assets to pay for the cost of marketing and selling the fund, for some shareholder services, and sometimes to pay employee bonuses. Other expenses. This miscellaneous category includes the costs of providing services to shareholders outside of the expenses covered by 12b-1 fees or portfolio management fees. You also pay transaction fees for the trades the fund makes, though this amount is not reported separately as the other fees are. Account fees. Funds may charge you a separate fee to maintain your account, especially if your investment falls below a set dollar amount. Redemption fees. To discourage very short-term trading, funds often charge a redemption fee to investors who sell shares shortly after buying them. Redemption fees may be charged anywhere from a few days to over a year. So it's important to understand if and how your fund assesses redemption fees before you buy, especially if you think you might need to sell your shares shortly after purchasing them. Exchange fees. Some funds also charge exchange fees for moving your money from one fund to another fund offered by the same investment company. Purchase fees. Whether or not a fund charges a front-end sales charge, it may assess a purchase fee at the time you buy shares of the fund. One easy way to compare mutual funds fees is to look for a number called the fund's Total Annual Fund Operating Expenses, otherwise known as the fund's expense ratio. This percentage, which you can find in a fund's prospectus, on the fund's website, or in financial publications, will tell you the percentage of the fund's total assets that goes toward paying its recurring fees every year. The higher the fund's fees, the greater its handicap in terms of doing better than the overall market as measured by the appropriate benchmark. For example, if you were considering two similar funds, Fund ABC and Fund XYZ, you might want to look at their expense ratios. Suppose Fund ABC had an expense ratio of 0.75 percent of assets, while Fund XYZ had an expense ratio of 1.85 percent. For Fund XYZ to match Fund ABC in annual returns, it would need a portfolio that outperformed Fund ABC by more than a full percentage point. Remember, though, that the expense ratio does not include loads, which are fees you may pay when you buy or sell your fund. FINRA provides an easy-to-use online Fund Analyzer that allows you to compare expenses among funds—or among different share classes of the same fund. Using a data feed that captures expense information for thousands of funds, the analyzer can help you understand the impact fees have on your investment over time. Once you select up to three funds, type in the amount you plan to invest and how long you plan to keep the fund, the analyzer does the rest. You should also be aware of transaction fees, which the mutual fund pays to a brokerage firm to execute its buy and sell orders. Those fees are not included in the expense ratio, but are subtracted before the fund's return is calculated. The more the fund buys and sells in its portfolio, which is reported as its turnover rate, the higher its transaction costs may be. For more information on mutual fund fees and expenses, and how to make sense of different share classes, be sure to visit finra.org/investors.